Dublin City Council has installed “smart technology” at a few locations in the city to give cyclists more time to clear difficult junctions. Last September, Transport Minister Shane Ross announced he was making €400,000 in funding available to the council for safe cycling infrastructure using smart technology. At last week’s meeting of the council’s transportation committee, Acting Senior Engineer Christopher Manzira talked about what the council has done so far with the funds. After first figuring out a reliable way to detect cyclists on the roads using radar, the council installed the technology at a few locations where cyclists have to make difficult turns. At the junction of St Stephen’s Green East and Merrion Row, where cyclists turn right, the radar detected cyclists being rushed by cars coming from St Stephen’s Green North. “So when you have detected that cyclists are in this particular zone, you can delay giving the cars a green to allow the cyclists more time to clear the junction,” Manzira said. The technology was also applied at the junction of Chesterfield Avenue and Conyngham Road, at the entrance to Phoenix Park. It works there, Manzira said, by extending the amber period from six to 10 seconds when cyclists are detected, to allow them to clear the junction before cars enter it. The technology only activates the extended light sequence when cyclists are there. At other times, the light sequences run as normal, he said. The junction of Guild Street and Sherriff Street is another location using the extended light sequence, he said. Manzira said they plan to use the detection system to give cyclists a head start at traffic lights. “So by giving cyclist an advance start, it’s giving them the opportunity to clear the traffic, go ahead of buses, and be more visible,” Manzira said. “Our next step is to deploy these city-wide in order to improve overall safety for cyclists,” Manzira said, adding that the council plans to look at improving an entire route – from College Green to Connolly Station. BleeperBike plans to introduce electric bikes to the bike-sharing market in Dublin this year, according to CEO Hugh Cooney. The bikes will have a battery range of 200 km, and levels will be monitored remotely, Cooney said at the transport committee meeting. “If the bike was used four times for four to five kilometre trips, we’d be looking at swapping batteries every eight days before it ran low. That’s how the business model will work, rather than bringing them all back to a warehouse overnight for recharging,” he said. The company was just awarded its second licence by Dublin City Council, this time for three years. BleeperBike has 450 permits at the moment, said Cooney. The company plans to “assess what’s the right mix” of traditional versus electric bikes. Kevin Meade, senior executive officer with the council, said Dublin Bikes has been operating for 10 years and has 1,600 bikes. “Hopefully, by the end of this year, [BleeperBike] will have a similar number,” he said. Meade also said the council plans to “roll out a further 2,000 bike-parking spaces” in 2019, to match the 2,000 it introduced in 2018. Cooney also presented data the company had collected over the last 10 months. The data showed that in February, BleeperBike clocked between 700 and 800 passenger trips per day. There were dips in usage at the weekend. 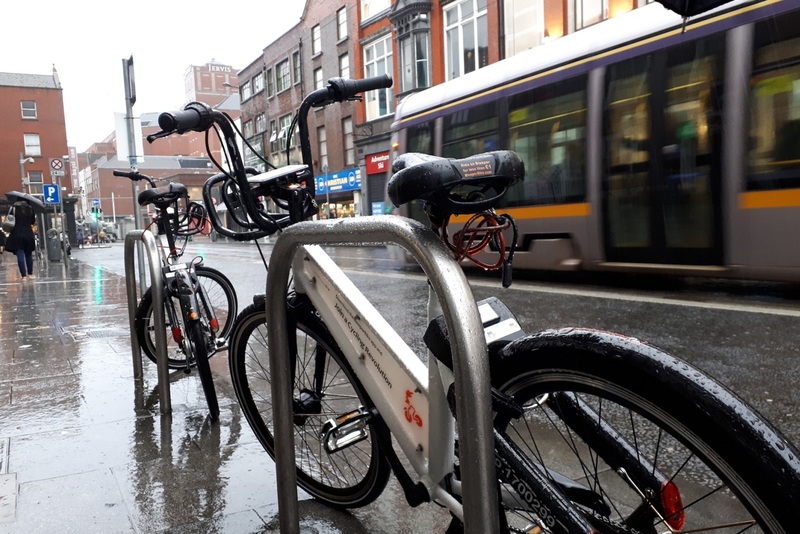 The bikes were used primarily during the morning and evening rush hour from Monday to Friday, and one of the most popular routes was from Lower Rathmines Road onto the cycle lane at the Liffey, and on into the Docklands. More bikes are used in the eastern part of the city, which correlates to population density of offices, Cooney said. There is also heavier usage south of the Liffey, because the terrain is flatter and more suited to the bikes’ three gears, he said. In 2018, the council gave licences to two stationless bike-hire operators: Urbo and BleeperBike. “Urbo, for various reasons, weren’t able to launch a service. 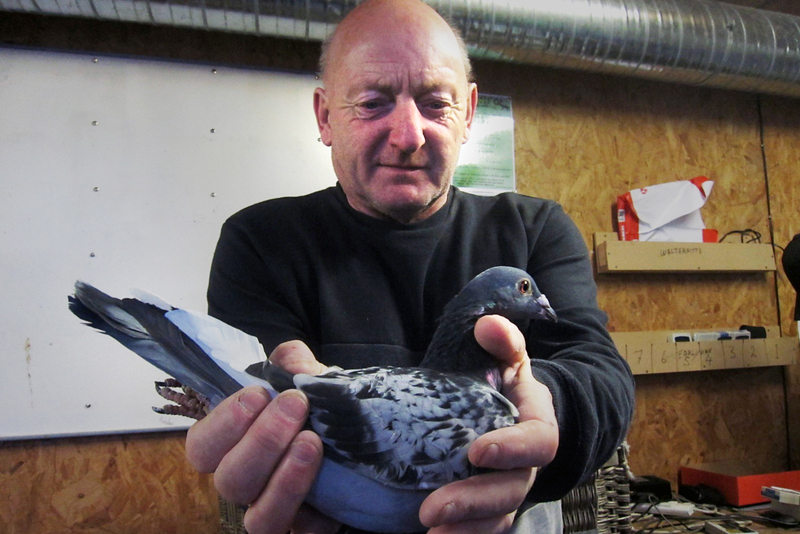 We’ve formally rescinded their licence,” Meade said. Applications are open again for the second licence, Meade said, and electric bikes will be permitted. We may be able to trial it, said a response from councillor officials. 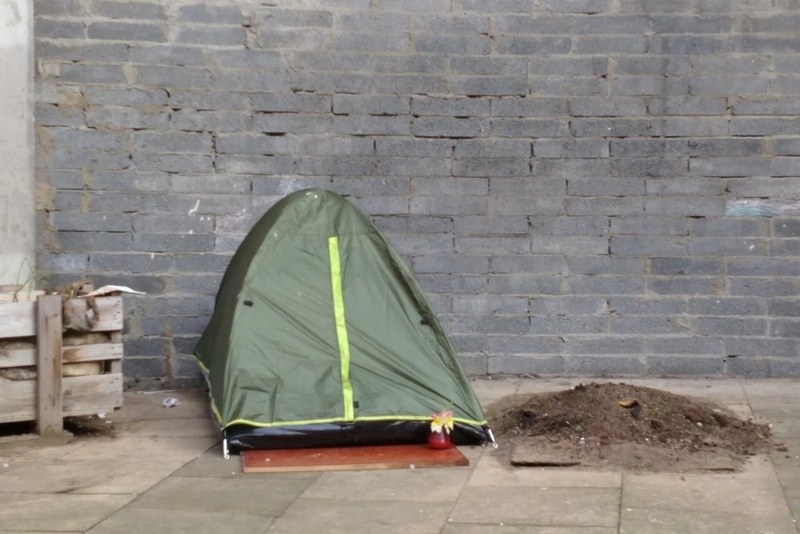 Green Party Councillor Claire Byrne said she wanted the council’s South East Area to see if it can use communal bin storage in some areas, rather than bags for rubbish plonked out on the city streets. There’s so much food available for them, she said. The council would support looking at it, the response said. But it could be tricky – given that waste collection is carried out by authorised collectors “in an open and competitive market”, they said. In other European cities that have it, it’s usually places where waste collection is paid for by local taxation or similar, and delivered by local authorities or “through competition for the market systems”. Here, it would take “a group of residents to contract with an authorised waste collector who is willing to provide such a system”, they said. The bins would have to somehow to restricted to use by them alone, and allow for separated waste.